Meanwhile, in 10-inch skillet, cook Italian sausage over medium-high heat, stirring frequently, until no longer pink; drain. 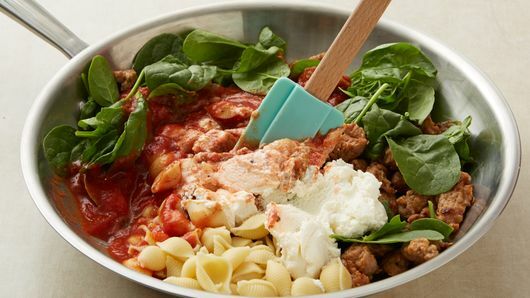 Stir in pasta sauce, spinach, ricotta cheese and cooked pasta; cook 1 to 3 minutes, until hot and spinach wilts. Remove from heat. Separate dough into 10 biscuits; press each biscuit to 3 1/2-inch round. 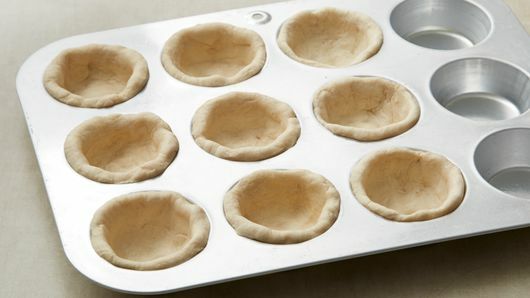 Firmly press 1 biscuit in bottom and up side of each of 10 ungreased regular-size muffin cups, forming 1/4-inch rim. 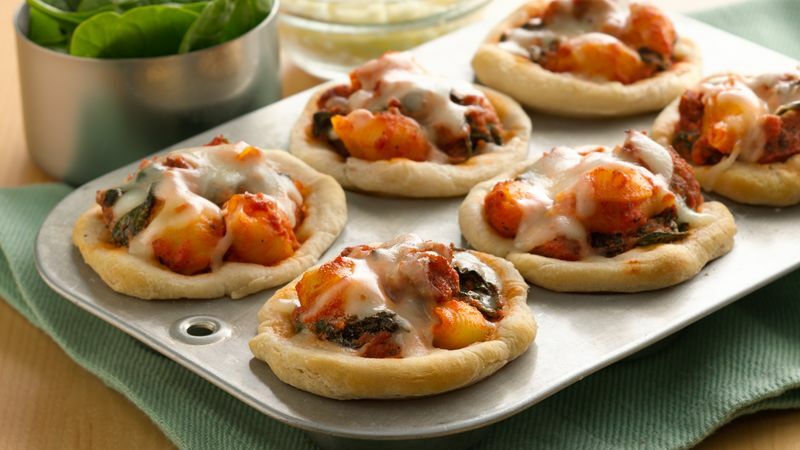 Fill each cup with about 1/3 cup sausage mixture; sprinkle with mozzarella cheese. Bake 22 to 25 minutes or until golden brown. Cool 1 minute; remove from pan. 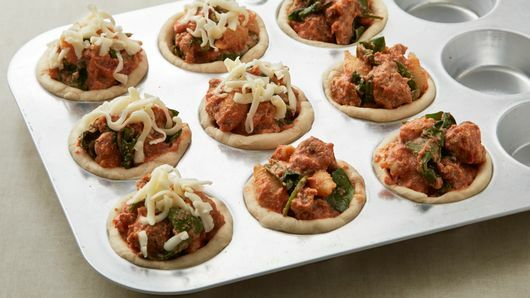 For best results, make sure all the mozzarella is on top of the lasagna mixture instead of spilling off onto the muffin pan. For a lighter version, you can substitute ground turkey for the sausage. Just add 1 teaspoon Italian seasoning and 1/4 teaspoon crushed red pepper flakes to the mix.